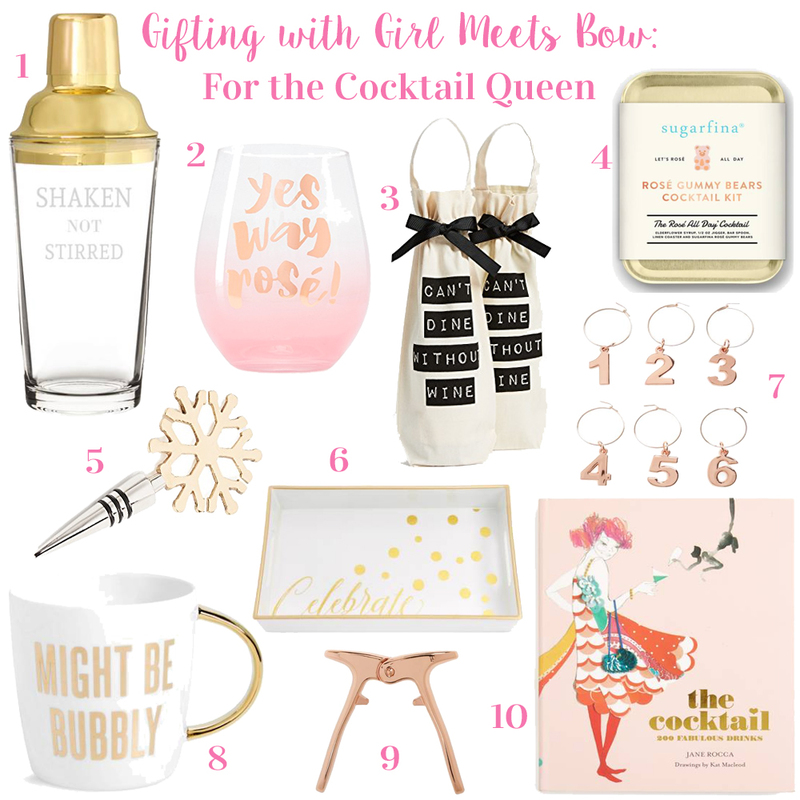 Welcome to the next edition of my gift guide series- for the cocktail queen! Is there anything more fun than gathering your girls, pouring the vino, and chatting all night?! I think not! So today’s guide is for the girl who always has a bottle of bubbly on hand & knows the importance of sharing it with her best gals! 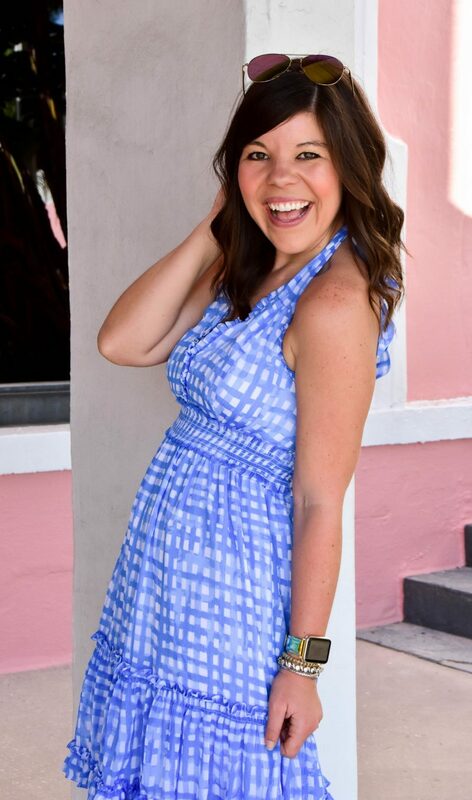 Keep reading to see why I love all 10 of these gifts! If you’ve got a friend who loves to mix her own concoctions, but doesn’t have a cocktail shaker, then this is a perfect gift. Plus, I love me some James Bond movies and this nod to him through “shaken, not stirred” is too perfect to pass up! I just think that glass wear is a perfect gift to give; there are so many cute designs out there and you can really tailor it to the recipients personality and make it personal! This “Yes way Rose” glass is too much fun! I sure wish I had this for all the trips I took this year! There isn’t anything that would make a flight more fun than some Rose gummy bears- order a glass of bubbly and pop a few of these in for a fun in-flight concoction! I keep a decorative bowl on my counter filled with wine stoppers and I love to have them for the seasons/different occasions- this is such a perfect little gift for winter. I’m all about fun wine charms- it’s such an easy way to identify your glass (once your a glass or two deep!) ha! By now y’all know that I have an small obsession with coffee mugs- and this one is TOO cute for your favorite gal! I have a few girlfriends in mind to gift this fun mug too! This would be such a pretty edition to a bar cart- I love the rose gold color! This book is so pretty- and definitely a coffee table book or another edition to a bar cart. I just love it! Previous Post The Ultimate Thanksgiving Day Sweater + A GIVEAWAY!!! I think that I need to add all of these things to my Christmas list this year, or maybe just even send this blog post off to the husband to make life easy for him 😉 Love everything you've picked out here! Cutest cocktail gifts! I love all of the rose gold! Cute picks dear. I'd love to get myself that cocktail shaker and rose wine glass for the holidays.